"All staff inc. on phone very personable." Read our customers' honest and impartial Honda CR V car reviews and ratings to easily find your next car at Motorparks. 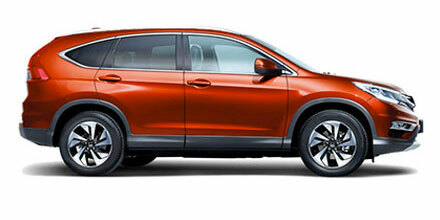 We all love our new CRV, the only thing that is disappointing is the petrol mpg - we are shocked at how little it does. Apart from this the car is lovely, it handles brilliantly and would recommend this to anyone. So far our Honda CRV is living up to Honda's claim, of a comfortable, reliable, vehicle, with the Honda Dealership's great service to match. Recommend Honda to everyone.